Durga(दुर्गा) is the principal form of the Goddess, also known as Devi and Shakti in Hinduism. Durga means "the inaccessible" or "the invincible". She is considered to be the combined forms of Goddess Lakshmi, Goddess Saraswati and Goddess Kali. 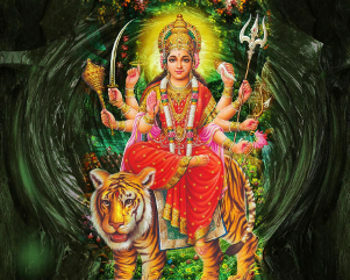 Durga Mantra is considered most effective and secret Mantra and has power to fulfill all suitable desires. Here you can find many mantra of Goddess Maa Durga.